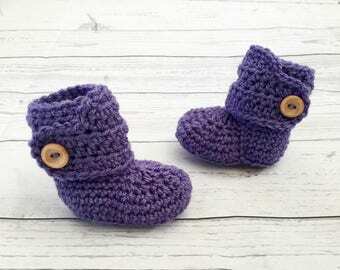 This is a pair of cute crochet baby booties that are gender neutral so great for a new baby gift or baby shower gift. They are made from a soft premium acrylic yarn and are light silver grey in colour. 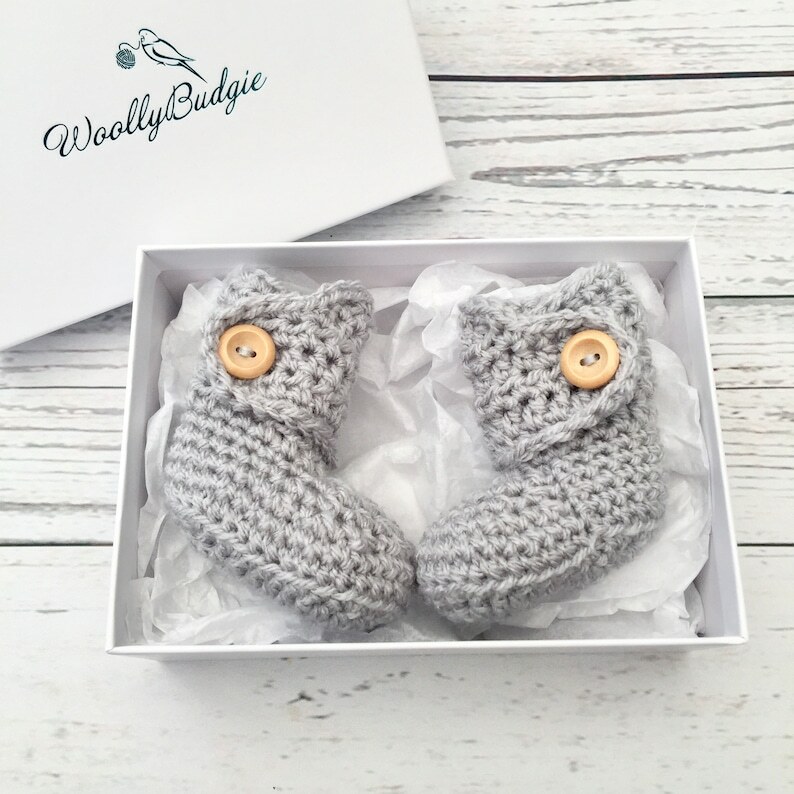 They have a wrap around section that is secured with a wooden button to help keep them on baby's feet. 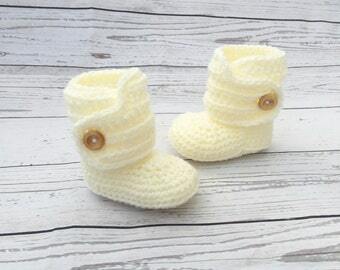 They come in a luxury white gift box and are placed on white tissue paper, so ready for giving as a gift. They are suitable for machine washing at 40 degrees or below and can be cool tumble dried. If you have any questions, feel free to ask. Please note that there is an option for international tracking at checkout, as standard postage does not include tracking. 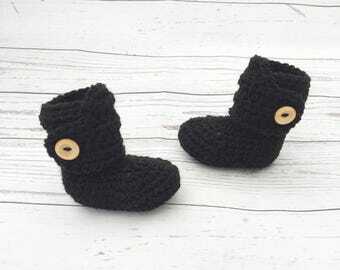 These little booties are absolutely precious and are perfect for keeping my sweet little baby's feet warm. They stay on better than socks. 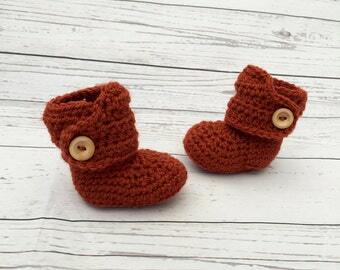 These booties are adorable and very well made!